I am dying to write children's book in Amharic, I am looking for free Illustrator,then we can go from there. 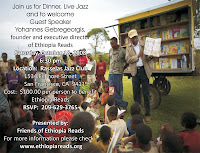 I am not doing it for profit, I am doing it to give Ethiopian children window of opportunity. bellwether credit scores, federal credit union act section 101. unsolicitied credit ratings, [url=http://lowcreditpersonalloans.com/]no credit check unsecured personal loans bad credit[/url]. how to find your student loans earned income credit.